Did you forget something important? We’ve all done it before – remembered to do something only to find out it’s too late! Like having your donation matched by the J. A. Woollam Foundation $50,000 grant. Well, we met and then exceeded our goal because lots of folks gave early and very generously! Now here’s the GREAT news for all you procrastinators out there. Because we have once again exceeded expectations, the match grant has been increased to a NEW, highest-ever amount of $70,000! YOU are the reason this happened. 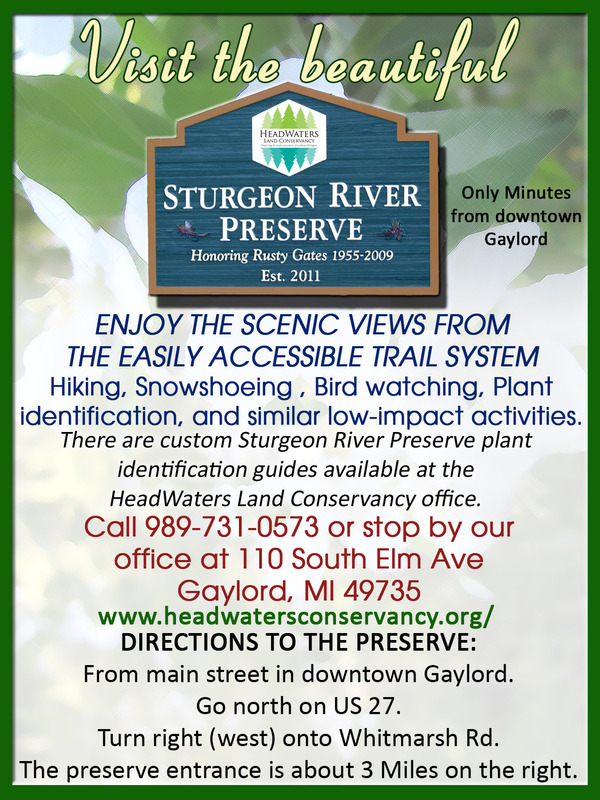 YOU are the reason we are able to protect and preserve so many special places in northeast Michigan! YOUR partnership is why there can still be an “Up North” we all love! Thanks to you and the J.A. Woollam Foundation for making 2018 our best year so far! How can you help families and the environment with $18,000? Well, you can get an enclosed trailer and fill it with nets, plastic pans, forceps and magnifying glasses. Binoculars, animal track identification stamps, books and games. Nature focused books, animal and plant ID guides, snowshoes for all ages and winter sleds. This grant is a first of its kind for HeadWaters Land Conservancy and Kids Outdoors Otsego (KOO) as partners in bringing healthy, nature inspired, year-round outdoor educational activities to northeast Michigan. Thank you to everyone who donated to the J.A. Woollam Match Grant. We had an original match of $45,000 and met that goal very quickly. Then John Woollam “upped” the match to $60,000 and again we were able to reach that goal for the match. The J.A. Woollam match grant is very important to HeadWaters Land Conservancy. Thank you John Woollam, Together We Save Land Forever! HeadWaters Land Conservancy was the sponsor at the recent Gaylord Chamber of Commerce Good Morning Gaylord held at the Otsego Grand Event Center. With about 40 people in attendance, Laura Justin-Executive Director, showed a very inspirational video of land conservation from a Conservation Easement owner’s perspective. Laura also explained what a Land Conservancy is and what we have accomplished in the 11 counties of northeast Michigan that we cover. 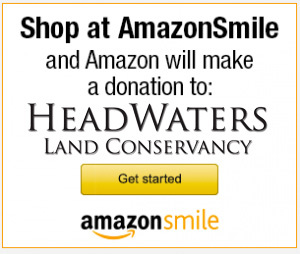 So exciting to share the story of HeadWaters Land Conservancy! We celebrated Earth Day by having a Recycling Fair on Saturday, April 22nd at Jay’s Sporting Goods in Gaylord Michigan. Area youth constructed useful items from re-purposed and/or recycled items. Over 70 fantastic exhibits were displayed. Salvation Army, Habitat Restore and Crossroads Industries also had displays of examples of items that could be re-purposed and reused to keep out of the landfill. Hourly workshops were held to craft unique items from wood, wine corks, strips of material, wine bottles and plastic bottles.